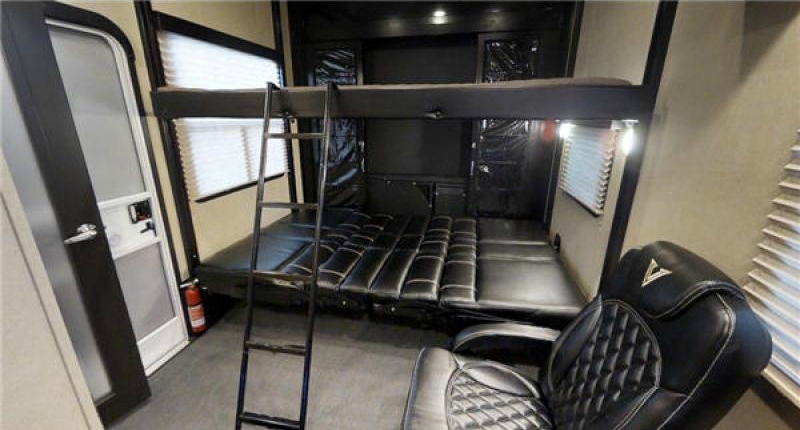 Looking for a toy hauler fifth wheel that keeps your toys safe, promises comfort to the family, and offers a luxurious interior? Look no further than the Voltage Epic. 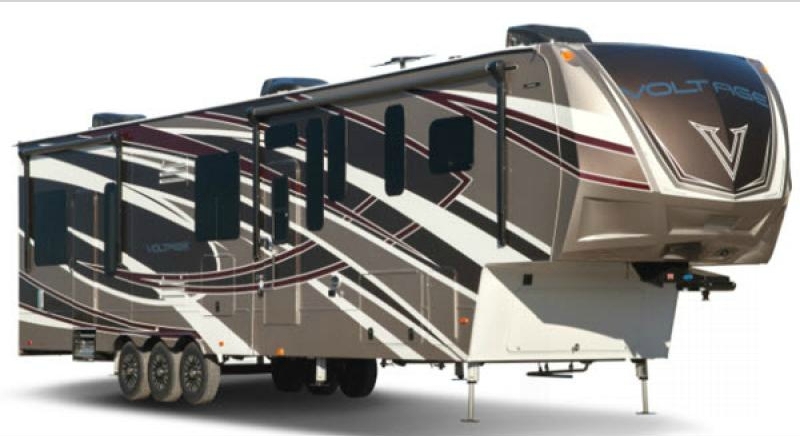 This toy hauler fifth wheel is an impressive RV guarantees you’ll enjoy your destination. From desert sands to mountain views, you’ll feel at home. Read our Voltage Epic toy hauler fifth wheel review to learn more about why we love this RV and why we’re proud to be your Epic toy hauler dealer. Let’s face it: at the end of a day hitting the trails with your ATV or shredding mud, there’s nothing more delightful than coming home to a comfortable place to unwind. That’s why we love the Epic’s living room. 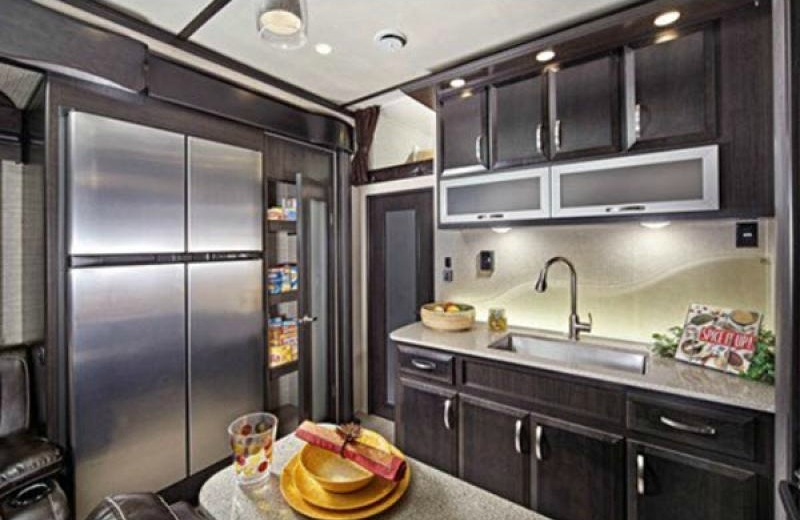 Your kitchen is literally the epicenter of your RV. It’s where great memories and meals are made. We love that the Epic’s kitchen is equipped with everything you need to truly feel like you have the culinary world at your fingertips. So what are you waiting for? Dive in and get creative. The Voltage Epic’s garage was created to extend into extra living space for when your toys are unloaded. Depending on the Epic floorplan you find, a variety of options and features are available to customize this space to meet your need. 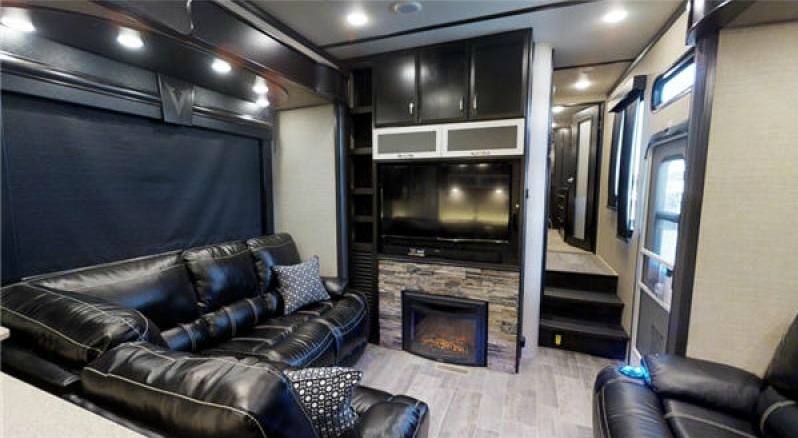 If you’re interested in learning more about this RV view our selection of Epic toy hauler fifth wheels for sale or contact us to learn more.